Telemetry - miniZ Equihash miner includes a cool telemetry option. 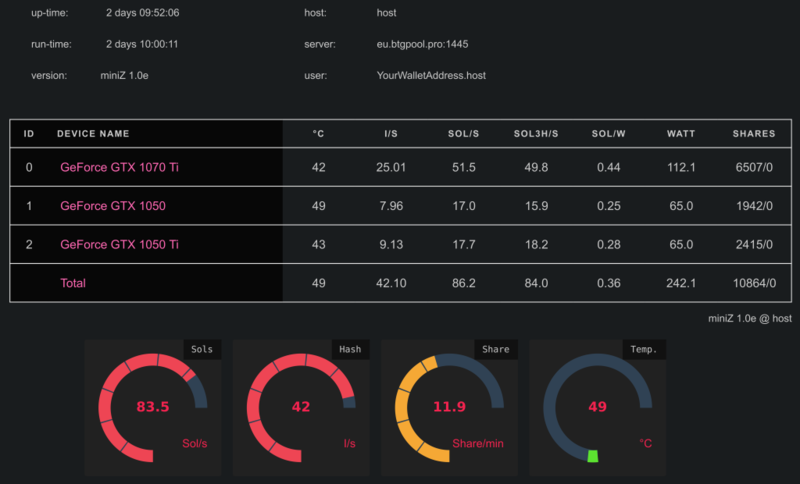 miniZ Equihash miner includes a cool telemetry monitoring option, which is useful to supervise the GPU/rig mining activity. The ‘Total’ line displays the sum of GPUs values. For temperature and Sol/W where ‘Total’ displays highest and average value, respectively. Here you can also check power consumption and efficiency (W and Sol/W). 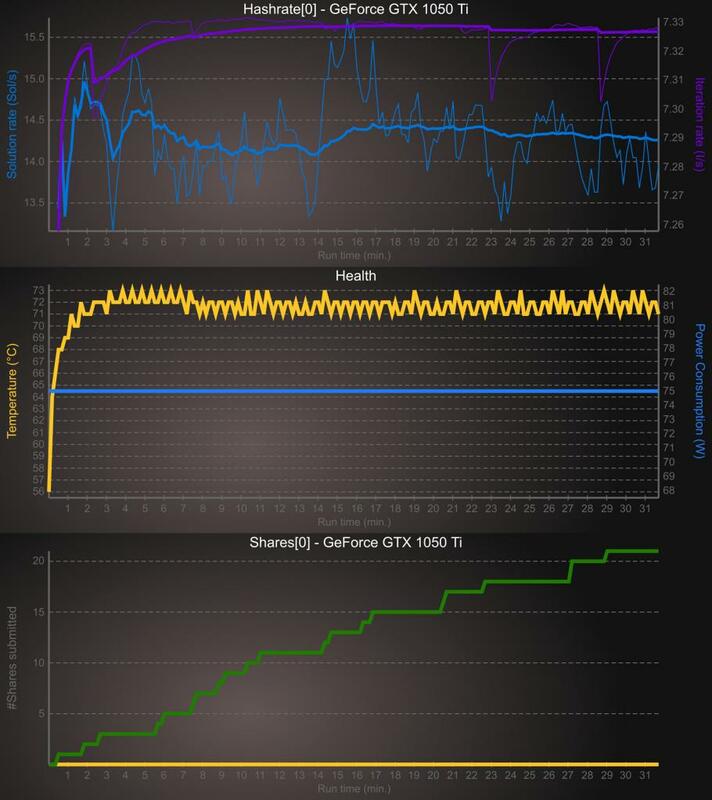 Note: for GTX1050/GTX1050Ti you’ll always read the power limit specified for your device, since NVIDIA’s recent drivers do not report power consumption for these GPUs. If you are experiencing any trouble with miniZ telemetry, please report here.